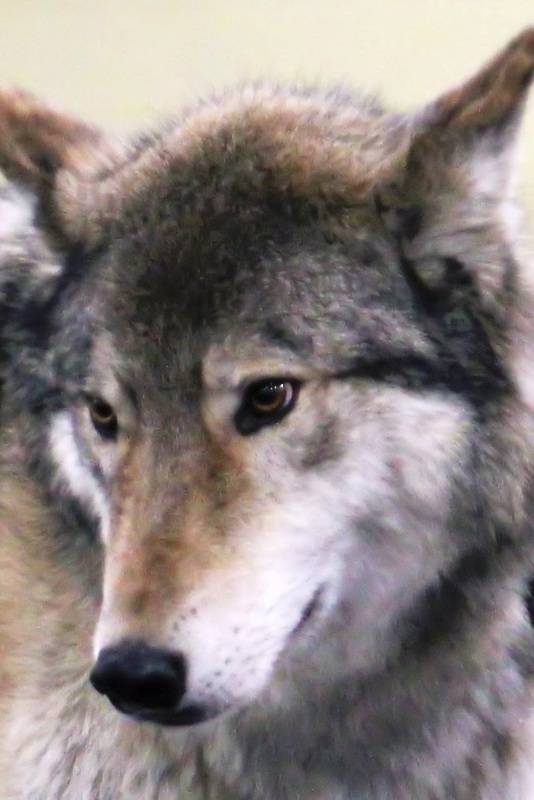 I took a picture of this Wolf on March 2013 that was displayed from a zoo while at Wizard World. Wizard World runs every March Break at the CNE grounds. We take the grandchildren every year. I cropped the picture because I didn't like the look of the heavy chain they had holding him on the stand.